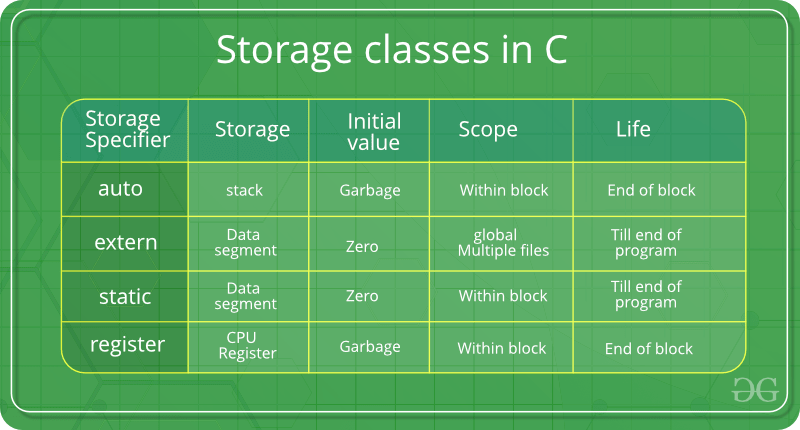 Storage Classes are used to describe the features of a variable/function. These features basically include the scope, visibility and life-time which help us to trace the existence of a particular variable during the runtime of a program. "If not, then every time the value of 'y' "